Celebration Fireworks - displays you won't forget! 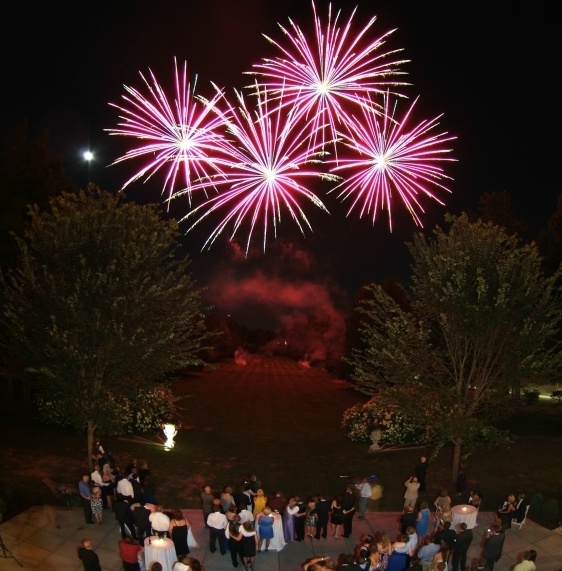 Fireworks make a wedding very special! We specialize in affordable, unique and customized productions. Your show is individually tailored to fit your event. We coordinate the fireworks to fit the mood and beat of the music! The result is an experience that the audience won't forget. Small budget? Small area? No Problem ! Just $3800 for your own spectacular fireworks display! You want Fireworks for your event but don't know how to go about it? Click HERE for a simple step-by-step procedure on what you should do. Click the Video below to see one of our typical wedding or party displays.Click the 2nd box in on the right to watch it in full screen mode and turn up the volume for best effect. Definitely the talk of the wedding. music went along with the show! night at our wedding ! Turn an ordinary event into a Festival !